At Karz Plus, we want you to really enjoy your preloved vehicle. With a little inside information about how to pick a great used BMW in San Diego, you can be sure that the one that you choose will give you plenty of years of service. Karz Plus stocks a large range of preloved vehicles, so we are sure to have a used BMW to suit your needs. The interior of the vehicle that you wish to buy can tell you a lot about the life that the used BMW has had. The condition of the seats, door trim, carpets, and controls give a good indication of the number of miles that a vehicle has traveled. Where a driver’s seat with signs of wear will be expected in a vehicle that is a few years old, if you are buying near new, wear in places such as the seat bolsters should be minimal. Carpets are another place that shows early damage. Lift any carpet mats to check the condition of the floor covering underneath. Corrosion can be a big issue, especially in vehicles that have been housed outside in areas near the ocean and driven on roads that are subject to ice. These conditions expose the body of the vehicle to high salinity in the environment and when this is not removed from the vehicle effectively, can result in damage. Check the rocker panels, wheel arches, the floor of the trunk and spare wheel cavity to inspect areas that are prone to exhibiting signs of corrosion first. Avoid vehicles with signs of corrosion as they will result in costly body repairs. Your best guarantee when buying a pre-loved vehicle is to source from a dealership with a good reputation. 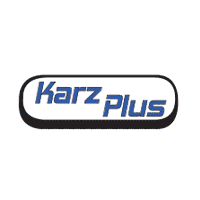 In the San Diego area, Karz Plus will provide you with a quality used BMW at a reasonable price. Call in today and see what we can do for you.